Do you have questions about lighting and dollies that you always have wanted to ask… but just haven’t had the chance to? Are there questions about the role and responsibilities of gaffers and grips? Would you like some more insight into the things you’re asked to pay for? Well here is your opportunity!! WIFT and PLS have teamed up together for an upcoming workshop in Auckland. This is an amazing opportunity to find out how to overcome the most common hurdles with lighting. It’s time to demystify lighting and dollies, which will help with your understanding and efficiency. It will be a workshop for technical crew, production assistants, production managers, producers and anyone else on set who wishes to increase their knowledge. Isn’t it great that ARRI are holding some training sessions in Auckland!! Even better they’re offering a 10% discount for NZCS members!! The senior trainer from ARRI will be travelling from Munich for two Certified User Training sessions in April/May. They're offering a two day workshop on Camera Systems and a one day workshop on their Electronic Control System. Limited to 12 participants, each course will enhance your knowledge of topics such as exposure for HDR and carrying metadata from pre-production into post. Whether you're an industry professional looking for a refresher on new technologies or a camera assistant looking to step up in the industry, these courses will extend your skill-set and give you confidence in your abilities. Please email me on EO@nzcine.com for the discount code (NZCS members only). 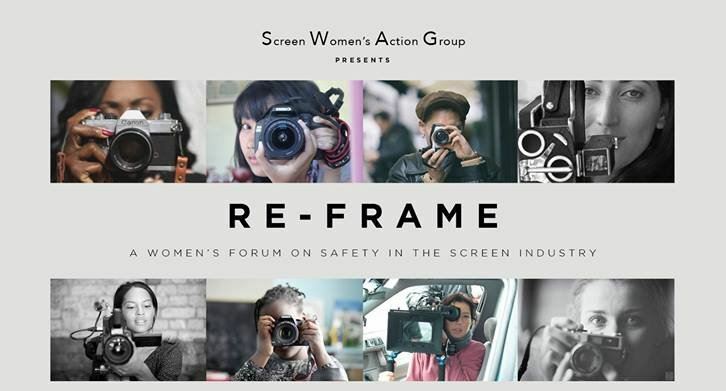 Cinematographer and NZCS member Ginny Loane sat on the panel at recent Screen Women's Action Group (SWAG) forums held in Auckland and Wellington. She says the results of the SWAG screen industry survey were disturbing to say the least. The survey revealed 66 per cent have encountered some form of sexual harassment in the workplace. "However, I know that there are a heap lovely of men in our industry who don’t want it to be like this and to a certain extent have felt helpless to do anything about it," added Loane. She asks that we all take the time to watch these two TED talks to work out how we can intervene and help stop this behaviour on set. Bold, blunt TED talk from Jackson Katz. Tony Porter makes a TED call to men everywhere: Break free of the man box. Here is a copy of the Air NZ updated 2018 lithium battery document. This memo now includes a limit of 20 spare batteries. "NZCS believes that discrimination, bullying, and any form of harassment in the screen industry should be addressed and supports industry-wide initiatives in this area. To date NZCS has put its weight behind the proposed combined guilds code of ethics in the screen industry which we anticipate will cover these topics and the work of ScreenSafe in this area. NZCS recognises that NZ cinematography, like overseas cinematography is currently gender imbalanced and this year is stepping up the Camera Pathways programme to help address this issue by attracting more women into cinematography." We are pleased that one of our highly respected cinematographers, Ginny Loane is on the panel at the SWAG forum in Auckland, and at least two of our women committee members have indicated they also will be attending, so NZCS will be well represented. It was midday on a cold February when I arrived at the Battersea Evolution Events Centre, clutching my invitation to the British Society of Cinematographers or BSC Expo opening luncheon. Film industry overload greeted me. The Techno Crane and Panavision Scorpio rig were duelling outside, while in the main hall there was the sheer crush of numbers, created by the intensity and the noise of hundreds of exhibitors and thousands of punters. 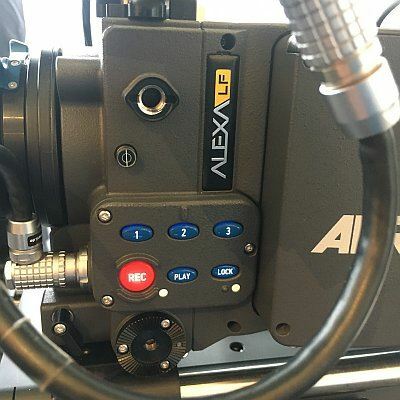 At the BSC luncheon, ARRI unveiled their newest camera – the new Alexa LF (large format) camera with 4.5K sensor size midway between the Alexa SXT sensor and the Alexa 65. I had a talk with Stephan Shenk, Managing Director of ARRI Cine Technik, about the camera. Stephan called it Netflix ready, thanks to it being a true 4K camera, and told me it has its own new lens mount – the LPL mount which is 62 mm in diameter and 44 mm in flange focal depth. 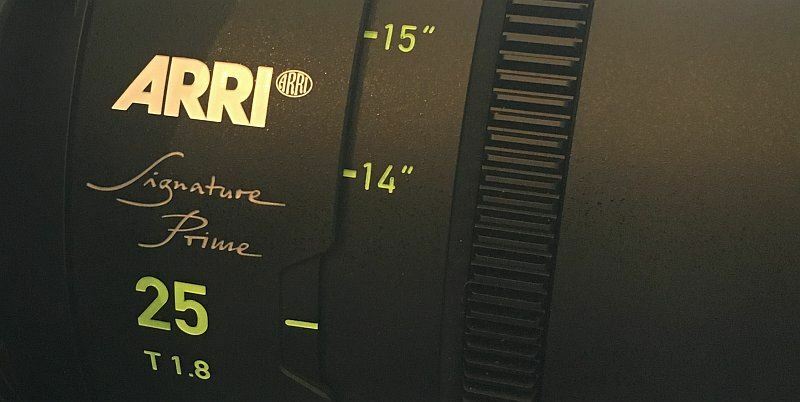 ARRI are also releasing their own brand of large format lenses for this mount called the Signature Primes. I had a look at the 24 and 35 mm f1.8 lenses – they were fantastic, and light too. The wider, deeper neck of the LPL mount gives the ability to place filters at the rear of the lens, in front of the sensor. ARRI also offers a LPL to PL adapter – so regular PL mount lenses can also be used. The sensor is 36.7 mm x 25.54 mm which is significantly larger than super 35 so to use PL lenses for an UHD shoot you can either crop the frame in post, or use a couple of Signature Primes at the wide end and PL lenses at longer focal lengths where they have the coverage. The camera records ProRes, accepts SxS pro cards as well as SXR drives. There are only four prototypes of the camera in existence – but ARRI are sure of a March 2018 roll out, and, unlike the rental- only system of the ARRI 65, it will be sold through chosen retailers. Wearing my ACS hat, I joined with Nigel Walters BSC to present Peter Hannan ACS BSC with a Lifetime Member Award on behalf of Ron Johanson and the ACS. Peter is a legend – an Academy and BAFTA Award winner, Peter started out working on 2001: A Space Odyssey and has shot features such as Withnail and I, The Meaning of Life, Insignificance, and second unit on Sleepy Hollow, Children of Men and Harry Potter and the Prisoner of Azkaban. Peter told some great stories of working with Stanley Kubrick, and how he and a load of other camera department guys were not listed in the screen credits as they got bumped for more important American executive producer names in the final reel – which was apparently the catalyst for Kubrick to demand 100 per cent control of his future films. Back down on the expo floor, after 40 minutes of trying to find him in the mayhem, I met up with NZ born DP Aaron Scott, who left NZ over 25 years ago, going first to Australia, and then to the UK where he became the Head of Camera for Sky Sports before going freelance. His dad is old time DP Don Scott, who started in the 1960s and was a founding member of the NZSC – the forerunner of NZCS. We spent the afternoon wandering around, checking stuff out. It was intense and international. I heard Dutch, German, Spanish, French, and Italian spoken amongst the throng. My friend Alex Linden FSF was there as part of crew to both film and write about the BSC Expo for the Swedish market, and I would say 30 per cent of attendees were from outside the UK. It was also a young crowd with loads of enthusiasm. I talked with Chris Nguyen, an aspiring young DP who moved to London to further his career. Chris wangled himself in as the BSC photographers’ camera assistant and loved every minute he had access, telling me how he was blown away by the amount of talent in the room at the BSC luncheon. I also talked with Joe Armstrong, who, after gaining his MA in English, went back to study film, and was down for the weekend from Leeds, to check gear and make contacts. I chatted with Allessandro Olivieri, a young film school grad who had recently moved from Italy to London - who bought his girlfriend along to the BSC Expo on a date, which she was enjoying. (She’s a keeper that one, mate!). I also interviewed Audra Marshall, the BSC Company Secretary and got the backstory about the show. She said it was a new initiative in 1993, inspired by Joe Dunton. It was the Society’s first Equipment Show, which featured the latest innovations from camera and lighting companies. Initially held at Shepperton, it was to prove so popular that further exhibitions were held in subsequent years at Pinewood, Mister Lighting and Grip House, Dukes Island, and at Elstree Studios for many years. The show grew enormously over the years and Rob Saunders of SCS Exhibitions came on board to lend it a more professional look. It is now entitled the BSC Expo and held annually. Historically it was held on Studio Stages, more recently at Pinewood and Leavesden. In 2016 as there was no studio space available and it moved to Battersea Evolution in Battersea Park, which proved such a success for ease of access, that future years are planned there also, allowing the organisers to plan well in advance. When I commented that this year appears even more popular than last year she told me there were 5500 visitors up from last year’s 4051 visitors. “We have had people from all over the world fly over, including members of Cameraimage, Imago, ASC members and a strong number of European Cinematographers. We are delighted that some of our Patrons such as ARRI and Panavision are choosing to announce their new technology at home here in the UK with their British Society family,” she said. In conclusion this was a truly great show, and the attendance underlines how popular all things camera have become over the last decade – the HDSLR camera revolution sparked off a lot of interest and enthusiasm for what we do, and the sheer numbers attest to this. I would almost say it was a celebratory atmosphere this year, which is well deserved for such a well thought out and put together show – top marks to the BSC! Nina Wells is using her 2017 AL Guilford Emerging Cinematographer award to boost her cinematography skills. 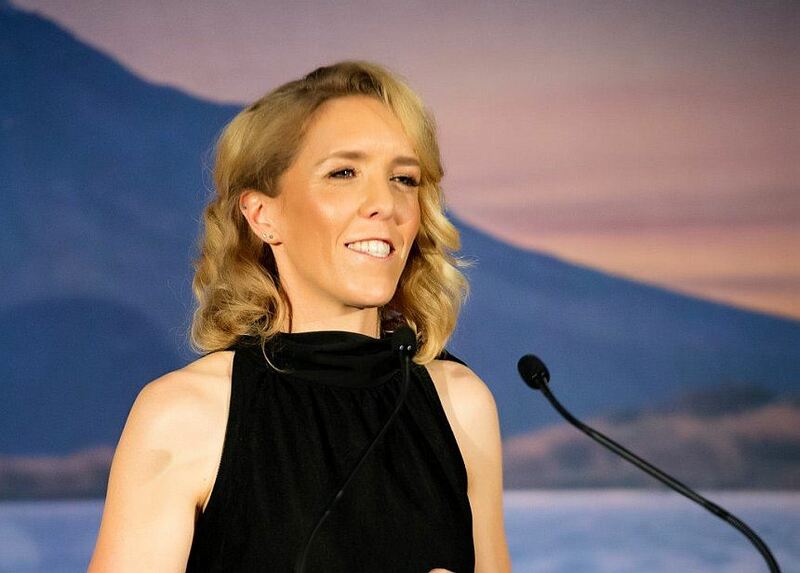 She has told NZCS that she intends to use the $2,000 prize money to help fund attendance at ASC cinematography master classes in LA, and a lighting course in Australia, both of which promise to promote Wells to a new skill level. Wells has also received assistance from the NZ Film Commission and takes with her the encouragement and best wishes of NZCS. What do you want from the next generation of gear? The idea is to find out what cinematographers, camera crews, colorists, and post production supervisors want in equipment and software and then pass that information to manufacturers and software engineers. Of course manufacturers and designers do this anyway, but by gathering information systematically and as widely as possible from around the world, manufacturers and the community itself will get insights that were never before uncovered. As a member of NZCS you can be part of this survey and you should participate if you work with cameras, camera equipment or in the post process. The survey takes around 10 minutes but it is worth taking a look before you start to get a feel for the technical questions. When the Survey answers are received, the results will be evaluated, discussed and concluded during meetings at IBC 2018. The finished result of the Survey is planned to be presented to the major camera and equipment manufacturers during Camerimage 2018. Deadline for completion 10 May 2018.